Which Type of Welding Techniques Should I Use? 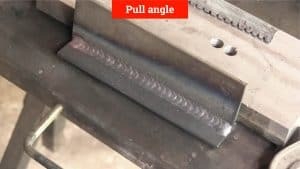 Testing the different types of welding techniques. Pushing the MIG gun penetrates your base metal better- however only slightly. 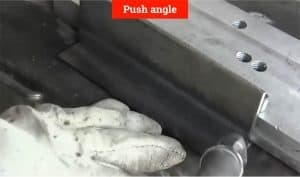 Pushing or pulling your torch is more of a preference of the welder because it depends on many factors: the angle and body position the welder is working with, the type of material and the type of weld. Now you don’t want to just trust some information without some proof, so we are going to review the push and pull technique with the cut and etch test. This is where we are going to weld a series of T joints, then cut the weld, etch it with acid and see hard proof of which technique is actually better. Really we are searching for the holy grail: good penetration, low spatter and a sweet looking weld. Just make sure you have a decent welder and a good hood before you try this at home! Enough Jibber jabber ….Let’s get to business and break down our welds and our techniques. Now, the first thing I want to get out of the way is this: BOTH push and pull are good techniques. It just depends on your welding situation. Depending on how your joints line up and where you are welding you may prefer one style over the other. 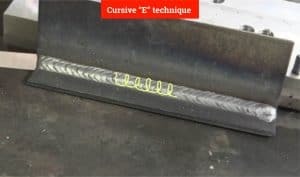 The cursive “E” is a good technique because you are depositing more filler metal, so if you are trying to fill a heavily beveled joint, this would be an ideal style. Now we are going to set up to pull the gun along our T joint. 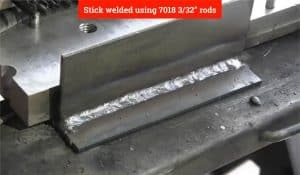 The settings remain the same for this weld as they were for pushing the gun. Now, see how we are pulling the weld pool along here as the gun is in front of our pool? Now, just a mention here but the same technique is used so we have a fair analysis. Which one really depends on how much material you want to deposit into the weld itself. 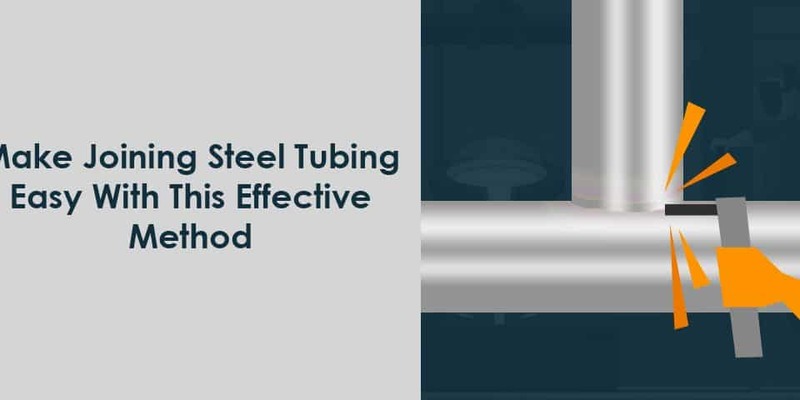 The “E” motion will deposit more filler material because you are looping over your weld once as you complete the motion. The “U” motion will be more spread out – you are not going over your weld as you do with the “E”. This will spread out your filler material and your crown will not be as high. Now for the real test of our technique. We are going to use a chop saw to cut our weld and see what the actual penetration looks like. We will then brush some acid over this section to really highlight the weld and the base material to see our results. We can see our penetration on both sides of the T-joint clearly! Again, we can clearly see what our pull technique has accomplished- and we can see that pulling has led to a slightly better penetration of our filler metal. In fact, here is a side by side picture so you can see the subtle difference. 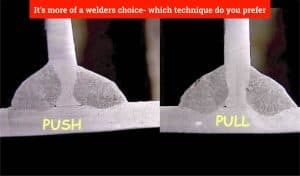 When you see these welds side by side you notice that although there is slightly better penetration, one style does not give you a clear and distinct advantage – it’s more of a welders choice- which technique do you prefer? 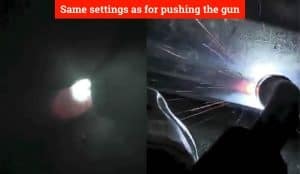 And the video maker, Jody, even goes as far as saying that the penetration can relate to his travel speed and the angle at which he held the gun – as it might have varied slightly from the push to the pull weld. 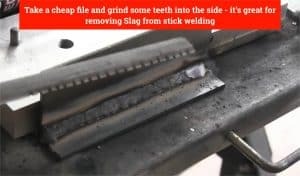 Pro tip: take a cheap file and grind some teeth into the side – it’s great for removing Slag from stick welding!!! Surprisingly, look at the undercut we have from the stick welding! 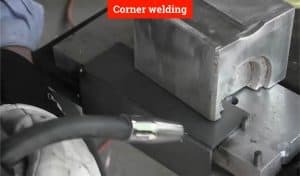 Corners can be tricky because you do not have room to maneuver as you do with fillet welds – ( no “E”‘s and “U” here). 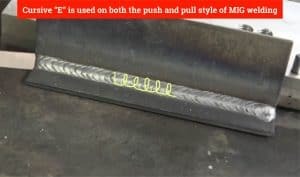 so you’re most likely running a straight bead or a stitch ( forward and pause) weld. 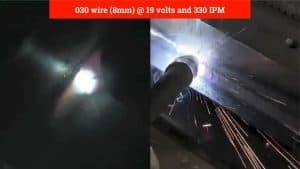 Now in the video, there is no wire speed mentioned but you’ll want your bead to fan out a bit, so I would start with 300 IPM and you can go up or down in wire speed as you actually lay the bead and notice the results. Uphill can be tricky, especially for the new welder. 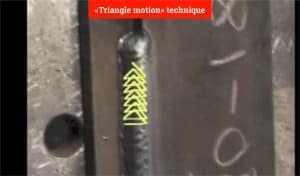 A technique that is not often mentioned is the “triangle motion” and this is good because it keeps your arc ahead of or in front of the puddle – preventing excess crowning. This is a good technique that you should try. Now overhead is interesting because most guys want to lower the heat, and that sounds logical. But what you actually want to do is INCREASE the heat. 20 amps and a lower wire speed of 300 IPM. And use the stitch method, pull and pause as discussed above. 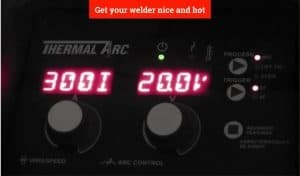 And if you’re looking for more tips and tricks to make you a better welder, check this article out. 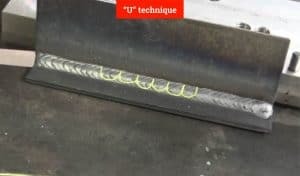 In this article we talked about pushing and pulling the MIG torch (and some good techniques for corner, uphill and overhead welds!) – and we learned that pulling can give us slightly better penetration. With that said, the biggest benefit of using the push or pull technique will be determined by you, the welder. 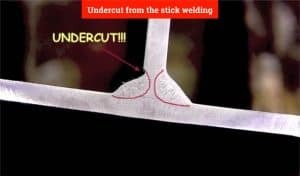 Remember, you’re the one in the field setting up your welds – so the technique that will be the easiest for you to use to set a proper weld will be the best one to use.